To be informed of the Community Foundation’s mission, of the way the Community Foundation intends to use donated resources, and of its capacity to use donations effectively for their intended purposes. To be informed of the identity of those serving on the Community Foundation’s governing board and to expect the board to exercise prudent judgment in its stewardship responsibilities. To have access to the Community Foundation’s most recent financial statements. To be assured your gifts will be used for the purpose for which they were given. To expect that all interactions with the Community Foundation will be professional in nature. To be informed whether those seeking donations are volunteers or paid staff. The Community Foundation shall be responsible for maintaining the confidentiality of donor and prospective donor records. Members of the Board of Directors and/or Community Foundation staff are permitted to view the records in order to execute their responsibilities. In addition, the Community Foundation’s auditors are authorized to view donor and prospective donor records as required for their purposes. The Board of Directors may appoint a committee to view the donor and prospective donor records and report back to the Board. Any such committee shall respect the Community Foundation’s significant interest in protecting the sensitive nature of those records. Unless otherwise requested by the donor, the names of all individual donors will be listed in the Community Foundation’s annual report and/or in other appropriate vehicles. The Community Foundation will not publish the amount of any donor’s gift without the permission of the donor. Donors making gifts to the Community Foundation by bequest or other testamentary device are deemed to have granted such permission. Donors should be aware that it is the Community Foundation’s policy to, from time to time, publish the current market value of its funds, from which a reader may be able to determine the approximate size of a donor’s gift. The names of donors of memorial or honor gifts may be released to the honoree, next of kin, or appropriate member of the immediate family, unless otherwise specified by the donor. Gift amounts are not to be released without the express consent of the donor.  The Community Foundation is authorized to accept anonymous gifts; however, acceptance is subject to approval by the Gift Acceptance Committee.